More details are given below on each, but for more information with available dates and prices, please contact us. Working safely is for people at any level,in any sector, who need a grounding in the essentials of safety and health. It gives everyone at work an understanding of why they must ‘work safely’ – and does that in an enjoyable way. – Nationally-recognised, respected and certificated training for its teams Memorable and thought-provoking facts and case studies help reinforce learning throughout the course. Each module is backed by scenarios from genuine work situations. The course includes interactive games and quizzes, helping delegates learn in a refreshingly informal way. Memorable and thought-provoking facts and case studies help drive the points home over the whole course. Each module is backed by crystal-clear examples and recognisable scenarios, and summaries reinforce the key learning points. The course includes checklists and other materials for delegates to try out and then use when they get back to their own workplaces. With the Managing safely refresher course, you’ll find a practical programme, full of step-by-step guidance, and a clear business focus. 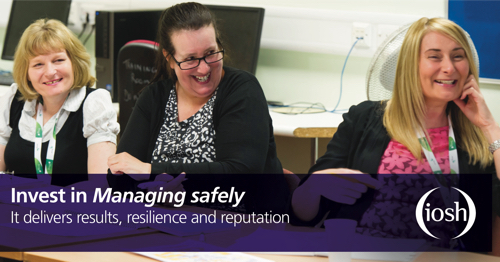 You’ll also find that the engaging format and content keep your staff interested and stimulated throughout the course – critical to getting safety and health embedded across the whole organisation. The one-day Managing safely refresher course is for delegates who have already completed the full Managing safely course. For delegates to be eligible to take the Refresher course, they must do so within three years of completing their Managing safely course. Not only will delegates get to refresh their knowledge on the key parts of the full Managing safely course, there’s also a much greater emphasis on monitoring, auditing and reviewing, developed through two practical case studies.